XVy-EV Series Servodrives Offer Advanced Technology For Drives Used In Motion Control Applications, Their High-bandwidth, Powerful DSP And Highly Reliable Power Stage Allows The Drives To Provide Excellent Control For A Vast Range Of Brushless Servomotors And Asyncronous Motors. XVy–EV Implements Next Generation Functions As A Standard, To Perfectly Meet The Most Advanced Architectures Of The Most Modern Industrial Servo Systems. The Integration In The Drive Of Dedicated Application Software Programs Allows For Unique Customisations, To Suit Specific Controls Of Complex Machineries In Sectors Such As: Working Machineries For Plastic Material, Sheet Metal, Textiles, Wood, Marble And Printing Presses, As Well As In The Most Advanced Automation Solutions. Flexible And Powerful, XVy-EV Can Offer Two Programming Modes For The Intuitive Implementation Of Both Simple Architectures And Complex Control Systems. IP20 Protection Degree Standard (external Heatsink Predisposition For IP54 Mounting 32550 Size). IP00 Protection Degree For Sizes 9470670 And 9560800, Available Also On C And CP Models. The SBM Series Of Low Inertia Brushless Motors Is Designed To Provide The Highest Level Of Achievable Acceleration And Deceleration Characteristics, Allowing The Highest Level Of Dynamic Performance Productivity And Controllability, Requiring A Precise And Ripid Rapid Mechanical Transmission. The SBM Motors Are Available In Six Frame Sizes, A Wide Continuous Stall Torque Range (from 2 To 442 Nm) And Speeds Up To 4000 Rpm. 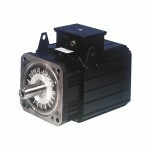 The SBM Motors Range In Continuous Stall Torque Capability From 2 To 442 Nm And Speeds Up To 4000 Rpm.